No restrictions on registering .co.zw domain names. There are no restrictions for registering .com.zw domain names. Registration of .ac.zw domain names is restricted to valid local non-profit making organisations. Zimbabwian .ac.zw registration include third party costs and maintenance & throughout the registration term. You may transfer your ac.zw domain to another registrar without charge. No an administration fee will be due with Zimbabwian .ac.zw domains or any other Zimbabwian domain. Upon registration your .Zimbabwian .ac.zw domain can be placed on our African servers, supply you with an under-construction page for as long as required. (This will enable a browser to readily locate your ac.zw domain. 1st Africa wishes to foster a honest and trustful relationship with our customers and in keeping with this wish to inform you about premium .ac.zw domain names. As such we can no longer guarantee to provide you the correct price when attempting to register a .ac.zw domain name, the prices in our price list are the standard prices for non-premium .ac.zw domains. The price we quote for .ac.zw will normally be correct 99% of the time, but sometimes if the registry deems the name to be premium we may not be able to until we have placed the order with the registry. In most cases we will be able to inform you once you are ready to complete your purchase, but sometimes we will be able to inform you until you have completed your order request for a .ac.zw domain. Thank fully for the moment the number of .ac.zw domains this effects is a small percentage. If a .ac.zw domain is a 1-3 letter domain it may attract a premium fee. If a .ac.zw domain is a generic word it may attract a premium fee. In all cases we will advise you of any premium .ac.zw charges before we take the funds. Prices from as little as: $132.60kr628€84.40£74.60$141.50kr844$99.00R1212.00 for 1 year. 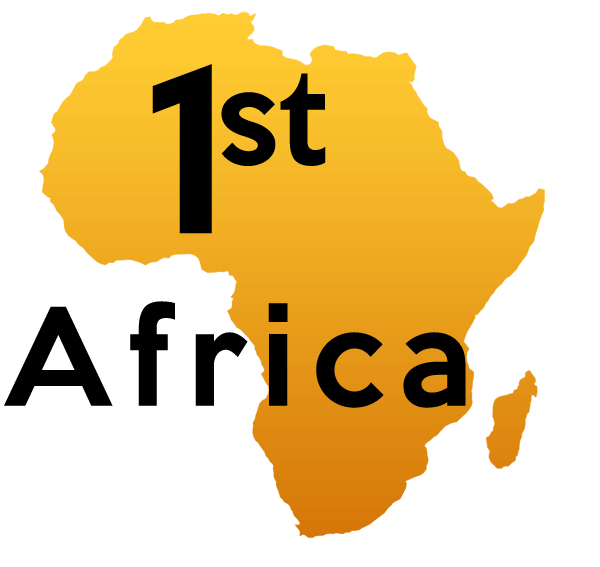 IANA (Internet Assigned Numbers Authority) assign the Zimbabwian .ac.zw domain. A domain name is the equivalent of a car number plate, Zimbabwian .ac.zw domain will be required if you wish to operate a .ac.zw website. You can renew your .ac.zw website, (the .ac.zw domain) without logging into your account. Just follow the link below. You can transfer your .ac.zw domains, place them all into a single account and activate handy features such as "AutoRenew". Just follow the link below. No trustee is required with .ac.zw Domains, however a local representative must be capable of receiving legal documents in Zimbabwian. 1st Africa supplies this for you at no extra cost. Who runs the .ac.zw registry? Dispute Policy for .ac.zw Domains. Is Privacy Protection available on .ac.zw domains?Yes. but if requested by the registry or legal authority this will be removed. We do not charge for .ac.zw privacy protection services. Is any .ac.zw name possible? No. .ac.zw domains are restricted and or reserved if the domains are offensive, deemed illegal, infringe trademarks etc. The reasons are many and varied. Who can register .ac.zw domains ? Frequently Asked questions about .ac.zw domains. Are .ac.zw domains IDN Enabled? No .ac.zw domains are not IDN capable as such only Ascii domains characters are allowed. Is Back Ordering of .ac.zw domains possible? Yes .ac.zw domains can be backordered using our sister website domainrecover. What is the Intended use .ac.zw domains? .ac.zw domains are intended for use by Entities connected with Zimbabwe. What is the Actual use .ac.zw domains? .ac.zw domains Gets some use in Zimbabwe. How long can an .ac.zw domain be registered for? .ac.zw domains can be registered for 1 years. How long can an .ac.zw domain be renewed for? .ac.zw domains can be renewed for 1 years. What is the minimum registration period for a .ac.zw domain? 1 years. What is the minimum length of a .ac.zw domain? .ac.zw domains must be 3 or more characters in length. What is the maximum length of a .ac.zw domain? .ac.zw domains must be 62 characters or less. Is SuperLock Available on .ac.zw domain? Yes. If requested we can initiate SuperLock on a .ac.zw domain. This is an extra level of security added to inter-registrar transfers; where telephone calls plus physical proof of identification will be required in order to verify the transfer. Must .ac.zw domains be Renewed Before Expiry ? No. But if the .ac.zw domain name goes past it's expiry date it will incur a Restoration Fee. Can Non-Residents register .ac.zw domains? Yes. There are no restrictions on registering .ac.zw as such anyone can register these. When a .ac.zw domain name goes past expiry the registry charges an additional fee to re-activate the domain. How can I use my .ac.zw domain once registered? Once registered your .ac.zw domain will sit on our DNS servers, we will configure for your .ac.zw domain a free undercontruction site and email forwarding. If you wish you may also purchase .ac.zw webhosting from us, or use .ac.zw web hosting elsewhere. We will configure you .ac.zw domain so it works for you. What characters are allowed in a .ac.zw domain? .ac.zw domains if they are not IDN enabled only the letters (a-z, A-Z) the numbers (0-9) and dashes (-): However the ac.zw domain must not start or end with a dash, it also must not contain a space and the 3rd or forth character must not be a -.